I don’t know about you, but I LOVE Halloween, and aside from Groundhog Day (long live Punxsutawney Phil! ), it’s my favorite holiday. I’ll admit though, in recent years I’ve become a little slack in the Halloween department. In fact, the last time I dressed up was 2014, when I attended a Mad Men-themed costume party. Effort level: low. And now that I have a six-month-old baby, all the focus will be on her this year and probably until the end of time. The best part about that, at least for this year, is that she’s a baby and can’t eat candy. So when we go trick-or-treating, guess who’s reaping the benefits of my child’s adorbs face? DING DING DING! That would be Mama. And let’s be honest, it’s hard work walking around begging for treats, amirite? You’re probably going to need a glass or four of wine either along the way or when you get home. So, I’d like to take this opportunity to make some candy/wine pairing suggestions to maximize your Halloween enjoyment. It’s a Halloween classic and even though it doesn’t top my must-chow-down-on list, I always end up wolfing huge handfuls. Obviously candy is all about sugar, but candy corn takes sugar consumption to new heights. This is literally pure corn syrup that has been dyed and poured into corn-shaped molds. You’re not kidding anyone when you say, “I hate candy corn.” You secretly jam fistfuls down your gullet when no one’s looking. So what pairs with this delightful confection? Think white. Hey, go big or go home and pile on the sugar bomb, so I wouldn’t be totally opposed to sipping something sweet like a moscato. Do what you like, but here’s my pick: Voga Moscato, Italy ($14.99). Since we’re on a roll (see what I did there?) with classic candies, I thought we could talk about the most delicious fake chocolate out there. Tootsie rolls are timeless treats. They even have a shot named after them (P.S. It’s creme de cacao, vodka, triple sec and a splash of orange juice). So what pairs best with this Halloween fave? Well, toots, this one is easy: I’d pick a nice tawny port. Yes, port is wine. Specifically, it’s a fortified wine made (usually) in Portugal and although it’s typically served as a sweet, red dessert wine, there are other varieties. I’d pick Whiskers Blake Tawny Port, Australia ($15.99). In the last few years, it’s become very uncool to give out candy containing peanuts, so I’ve seen a whole lot less of Peanut M&Ms, which is sad because they’re probably one of my all time favorite candies. But I suppose for safety’s sake, we’ll chat about the round little discs of chocolate in the brown paper pack. Hands down, chocolate and red wine is the way to go here, but within the confines of that, you’ve got a lot of room to play, and I’d go with a malbec. Malbec has a lot of the qualities that make cabernet so enticing, but with malbec you get some of those blue fruits, plus a hint of vanilla (perfect with chocolate!) and some molasses. Keep it really simple with this one and pick something along the lines of Smoking Loon El Carancho Malbec, Chile, ($7.99). Yes, you can break me off a piece of this any day of the week. And if Kit Kats weren’t delicious enough, a few years ago someone suggested I freeze them for maximum delish factor, and they were right. Yum. So what pairs with the rich chocolaty velvet on the outside, but won’t overshadow the delicate crisp cookie inside? Let me tell you right now, this is for real, my favorite combination of junk food and wine EVER: Kit Kats and Champagne. The bubbles, the dry snap of sparkling wine, the crispiness of the candy wafer, the slight sweetness of the chocolate: this is snack heaven. Okay, so you don’t have to go overboard and buy a real Champagne (they’re $$$$!). And by real I mean actual Champagne from Champagne, France. Lots of you know this, but to be legit called Champagne, a wine needs to be from the Champagne region of France, otherwise it’s simply sparkling wine. That’s the quick and dirty, but I promise to talk more about champers in another column. 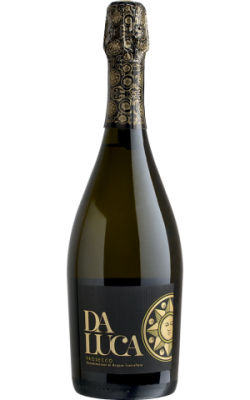 My pick is actually a sparkling wine from Italy: DaLuca Prosecco, Italy, ($15.99). Twizzlers have that texture that gives you a license to act like a dog with a chew toy once in awhile. The fakey not-quite strawberry, almost cherry flavor is the perfect match for the slightly fizzy, sweet red wine of Italy’s Piedmont region. The wild berriness and gentle bubbles make this chilled red wine something even Willy Wonka can get behind. One of my fave’s is Baci Dolci (pronounced ba-chee dole-chee), “sweet kiss” in Italian. It’s made from 50% merlot and 50% marzemino grapes and tastes like juice. In fact, if Twizzlers were liquid, they would be this wine: Baci Dolci, Italy ($13.99). Wherever your Halloween adventures take you this year, just remember this little nugget: Candy is dandy, liquor is quicker, but wine is so, so fine.